Posted in: Crime Stoppers, Media Release, Reward, WANTED. Tagged: Brink. 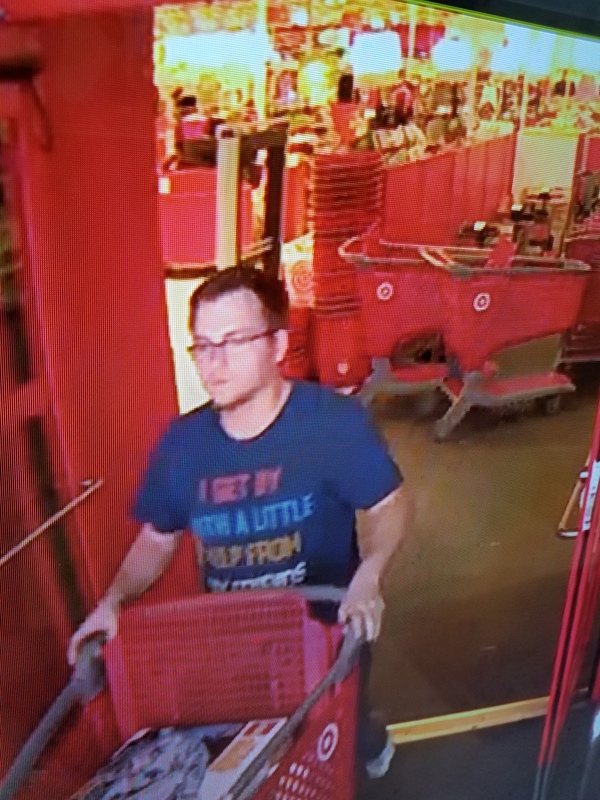 Franklin Police and Crime Stoppers are offering a cash reward for an at-large shoplifter who repeatedly hit and kicked Target security personnel during his getaway, demolishing anti-theft security towers during the brawl in Cool Springs, Thursday night. Brayden Bartlett is wanted for Theft, Felony Vandalism, and two counts of Assault. Bartlett is considered a fugitive, and a cash reward of up to $1,000 is being offered for information leading to his capture. 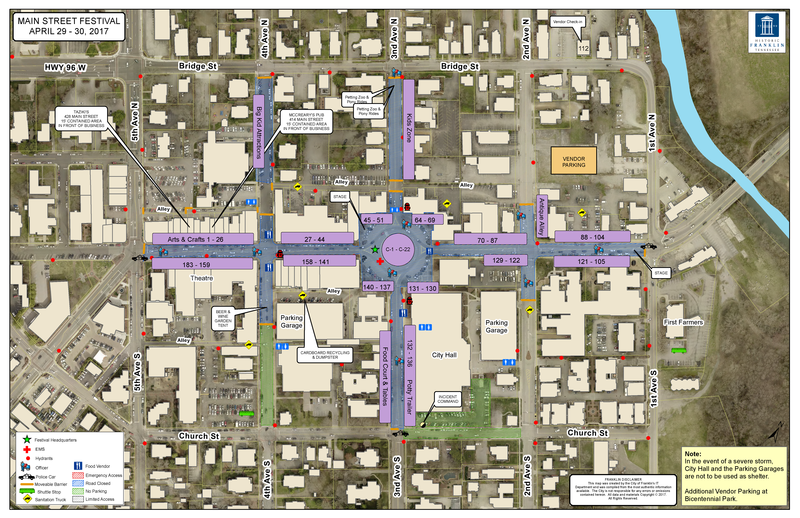 The Franklin Main Street Festival is happening Saturday from 10-6pm & Sunday 11-6pm. The festival features music, food, crafts and a kids area. Organizers expect more than 140,000 people to visit America’s favorite Main Street this weekend. Click for schedule and details. Posted in: Crime Stoppers, Media Release, Put A Name with This Face, Reward, WANTED. Tagged: Pace. Franklin Police want to identify this man, wanted for attempting to cash a stolen check at a Royal Oaks Boulevard bank earlier this month. The suspect vehicle is a silver Toyota Avalon. Call Crime Stoppers if you recognize him: (615) 794-4000. 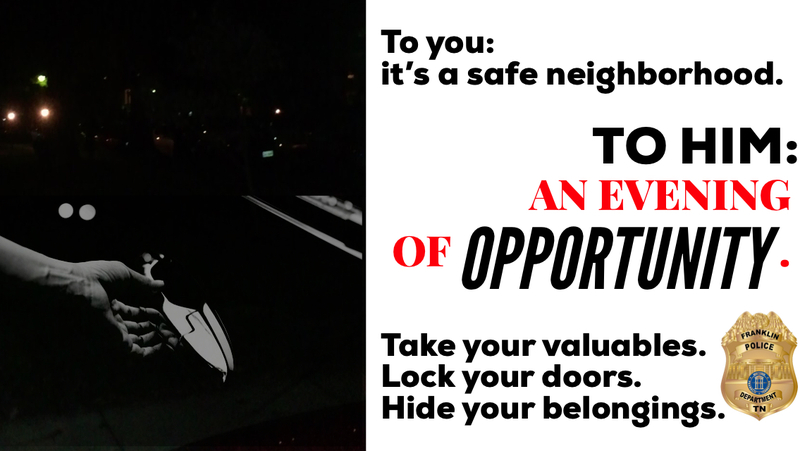 Posted in: Community, Crime Prevention, Media Release. Posted in: Crime Prevention, Media Release. Posted in: Crime Stoppers, Media Release, Put A Name with This Face, Reward, Update, WANTED. Tagged: Guerra. The suspect who exposed himself to a Williamson Square shopper on April 9 has struck again. A woman returned to her vehicle at 4:20 Friday afternoon, April 20, after shopping at Hobby Lobby, when she saw the light-skinned black male with facial acne scars parked next to her. The suspect had his pants down and ensured that the victim saw him engaging in sexual activity in the driver’s seat of his newer model, red Ford Taurus. The suspect was alone in the car. 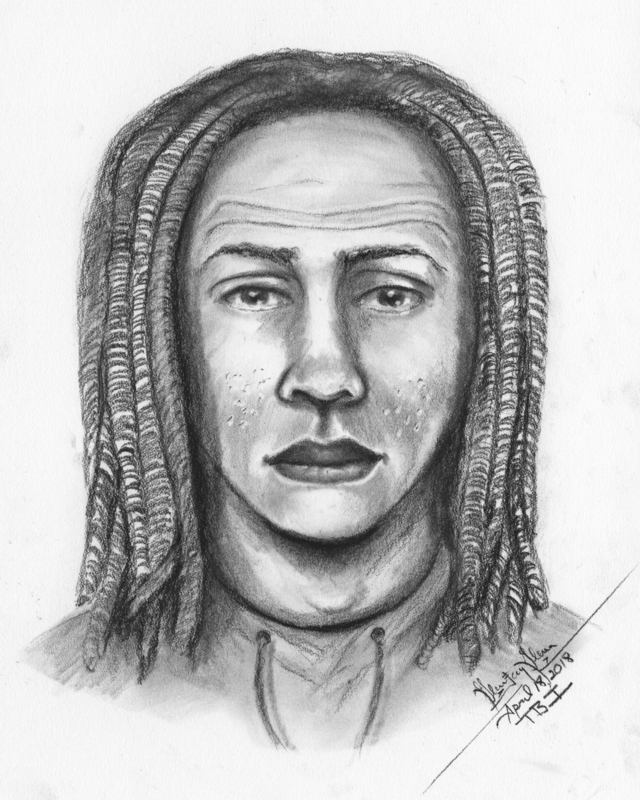 A cash reward of up to $1,000 is being offered for information about this sexual predator. (615) 794-4000 or click to submit anonymous eTip. 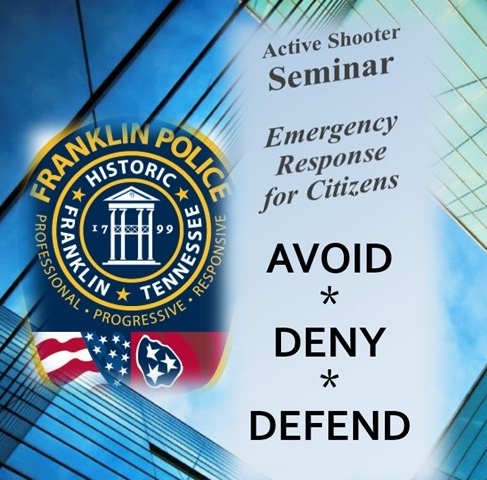 The Franklin Police Department has scheduled two, free 1.5 hour seminars designed to help keep citizens safe during the unthinkable. 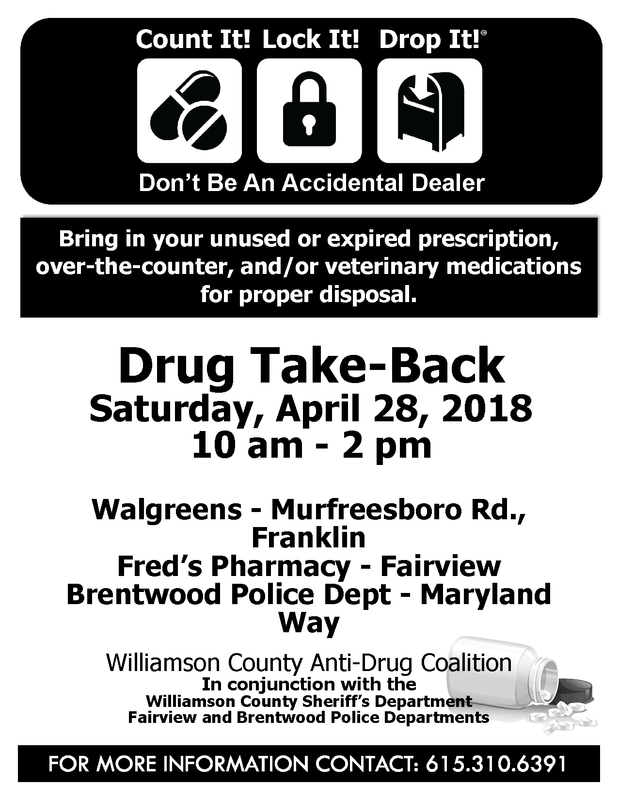 Franklin Police Officers will share with citizens, employers, and community leaders, way to improve their response to an unforeseen, mass violence encounter. During both of the one and a half hour seminars, officers will discuss three main, national best practices: Avoid, Deny, Defend. The seminars are free and open to the public – but pre-registration is required. any member of the Franklin community. No cameras or recording devices will be allowed into the training location. Media wishing to interview Franklin Police staff, instructors, or attendees need to make prior arrangements with Franklin Police Public Affairs, Lt. Charles Warner.